Our company used BasketWorks for a raffle item at our Northbrook Facility Grand Opening in May – and what a fantastic choice that was! Lise worked diligently to provide us with a beautiful, custom Gift Basket to fit our theme and our budget needs. 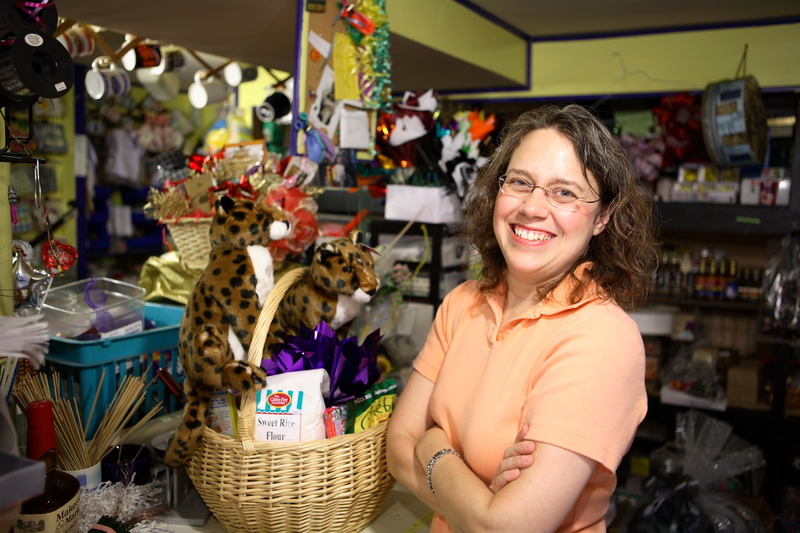 She is not only professional and easy to work with, but her baskets are filled with a wonderful array of unique and delicious items, as well as being pleasantly packaged down to the very last detail – she even does custom ribbons! We could not have been more pleased with our raffle item, and will definitely use BasketWorks in the future! We fell in love with these collectible Frosty Tidings Snowmen ornaments! They are by Westland Giftware and have been retired. Snowman snow globe ice cream cone ornament in center of picture, item number 19232.